Cyber Monday is officially here. And Cyber Monday 2018 is chock full of excellent TV deals. But remember, not all TVs — or deals — are created equal. To make your life easier, we’ve rounded up the six best TV deals that you can take advantage of this Cyber Monday without ever leaving the comfort of your cozy abode. It doesn’t get better than that, does it? So sit back, relax, and check out the six best TV deals going this Cyber Monday, in no particular order. Oh, and remember, if you see a deal you like, you better act fast. These deals are only good as long as they’re in stock. 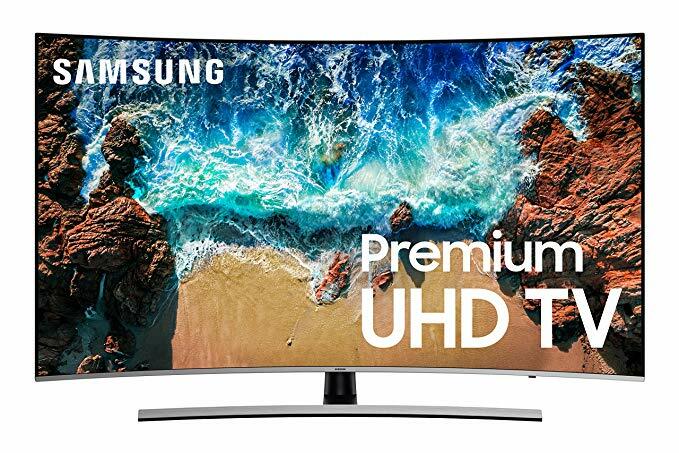 This stunning curved 65″ 4K Samsung is on an astonishing sale — $702 off, or 39 percent savings. The curved design makes for an immersive experience that draws the user into the brilliant HDR display that boasts a refresh rate of 240 frames. As a Smart TV, the onboard app also gives users access to a wide range of streaming and media applications. All in all, this is a killer deal on a top-of-the-line TV that makes it much more affordable to the everyday consumer. 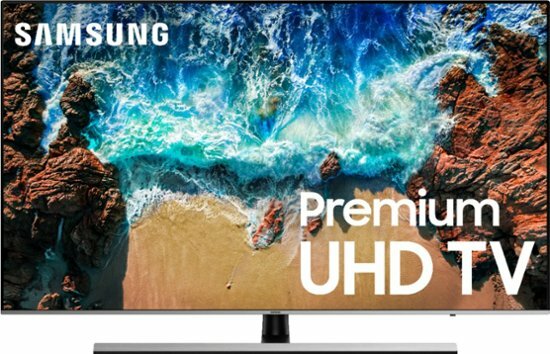 The Samsung UN65NU8500 Curved 65″ 4K UHD 8 Series Smart TV, on sale for over $700 off. The LG 55SK9000PUA 55-Inch 4K Ultra HD Smart LED TV is a visual spectacle, offering a powerful 4K processor with HDR capability, enabled with Dolby Vision — a feature that offers unparalleled contrast and color. This TV has an excellent refresh rate of 24o, local dimming, and full Smart TV capabilities, offering several streaming and media apps. The LG 55SK9000PUA is one of the best TVs on the market, and while this deal isn’t the biggest on Cyber Monday, it’s still quite the bargain. The LG Electronics 55SK9000PUA 55-Inch 4K Ultra HD Smart LED TV, on sale for $300 off. Looking for a huge TV this Cyber Monday? Hey, that’s your prerogative. We’ve found a great one in the Samsung 75″ UN8000, which is over $700 at Best Buy during Cyber Monday. Specs wise, this Samsung is virtually identical to the first Samsung we covered on our roundup, minus the curved screen. If you’re looking to turn your living room into the neighborhood cinema, you’re going to want to jump on this deal. A $702 discount is going to be hard to beat for a television this size. 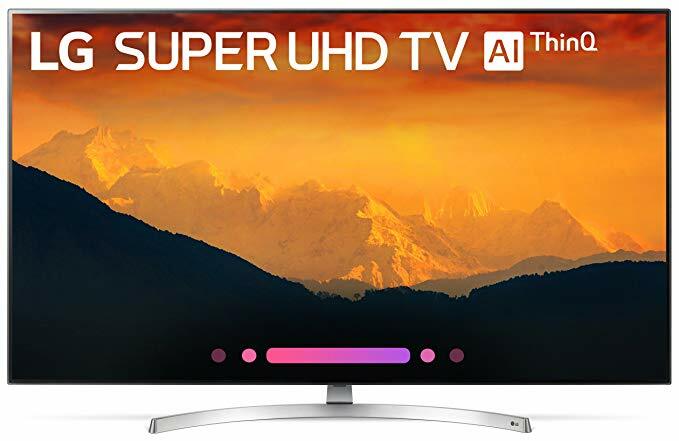 The Samsung UN8000 75″ 4K UHD Smart LED TV is on sale for $1,597.99 — down from $2,299.99. And the award for biggest discount goes to: this stunning 4K QLED 6 Series TV from Samsung. Yes, we know, we’ve talked a lot about Samsung on this roundup, but we can’t help it that they brought the fire this Cyber Monday! This top-shelf television is a staggering $902 off the original price — a whopping 41 percent. This TV brings all the best of the QLED hype, including the extreme contrast and vibrant colors that are expected to come along with it. At its original price, this is a great TV. At over $900 off, it’s an unbelievable television. If you’ve ever wanted to see if the QLED hype is all its cracked up to be, this is your best chance to find out. 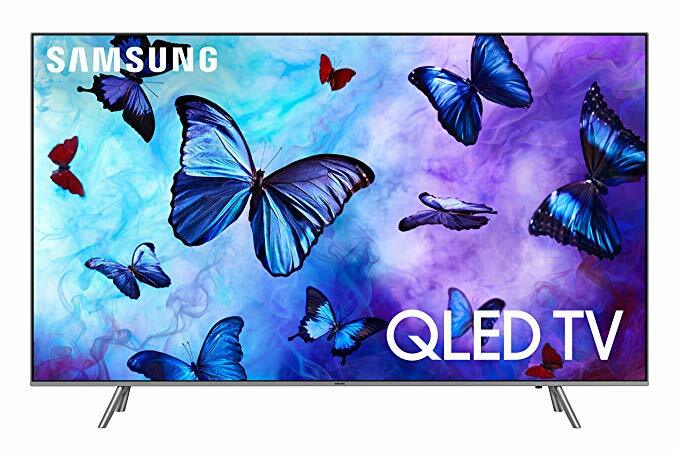 The Samsung QN65Q6F Flat 65” QLED 4K UHD 6 Series Smart TV, on sale for $1,297.99, down from $2,199.99. TCL may not be a name that you’re immediately familiar with, but they’re certainly amongst the rising stars in the 4K television world. For their quality and picture, the TCL 4K HDR Roku Smart LED TV’s starting price of around $600 is still a good value. But at $349.99, this is simply too good a value to ignore. This TV boasts specs that rival any other major TV provider, including at 120 frame refresh rate, 4K HDR display, and direct-lit LED backlighting. What sets the TCL apart from the pack is that this TV comes loaded with a full-fledged Roku system, which is miles better than any other Smart TV software and is far more user friendly. All in all, despite this TCL being last years model, the value here is too good to be true. However, it is true, and you can pick yours up today at Amazon. 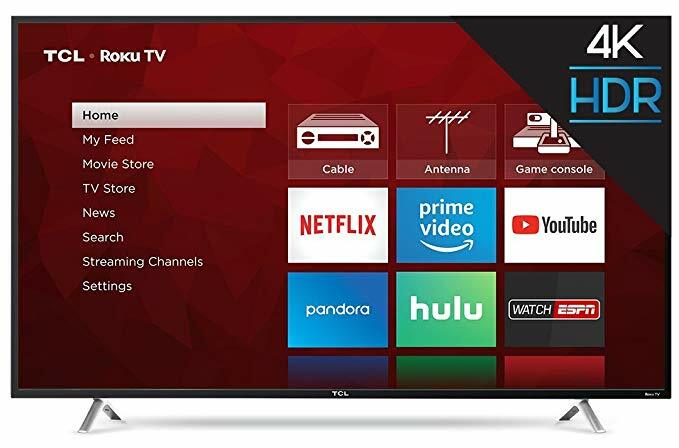 The TCL 55″ 4K HDR 120Hz CMI Roku Smart LED TV, on sale for $349.99, down from $599.99. 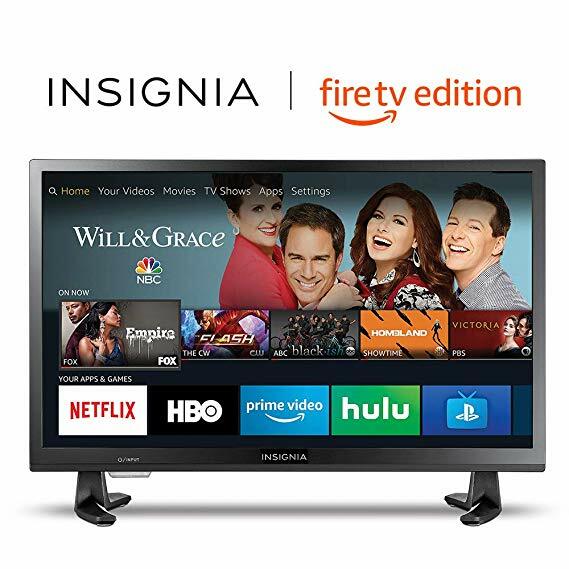 The most economical of the TVs on sale this Cyber Monday, this 24-inch Insignia smart TV delivers 720p picture quality with deep blacks and rich colors. Of course, the selling point here is that Fire TV is built in, providing instant access to tens of thousands of channels, apps, and Alexa skills, including Netflix, Prime Video, Hulu, HBO, SHOWTIME, STARZ, and more. I bet at the start of today, you didn’t realize you’d be able to get a TV for just $100, did you?